Today we have part one of the TBS Fall 2013 schedule. We are calling it part one because this is their September schedule and there will likely be more schedule updates to come in October that we cannot reveal just yet, so stay tuned for that. For now, we will cover the September changes, including the premiere of reruns of The Cleveland Show! The animated comedy will begin Monday, Sept. 16 on TBS and will air weekdays at 1:30pm leading into an hour of American Dad! from 2-3PM. The Family Guy spin-off will also air at 7:30pm on Tuesday and Friday evenings, spelling Family Guy on those nights. Family Guy will be taking over that 7:30pm half-hour the other three weeknights as Seinfeld will now be from 6pm-7:30pm. Other key changes include Rules of Engagement just once a day now and moving 6am, while My Name is Earl is also cut to just once a day and now at 6:30am. Married...with Children moves up to 7am-8:30am, leading into Fresh Prince at 8:30am. 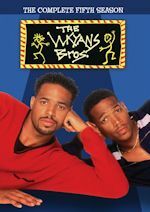 After the Tyler Perry hour, more Fresh Prince is going to air from 10am-12pm. That's a whole lot of Fresh Prince, but will all these slots last in October? Stay tuned. The series will be moving to BET exclusively beginning in Fall 2014, as we mentioned before. According to Jim remains at noon, while Wipeout moves to 12:30pm instead of 2pm. Everybody Loves Raymond will be off of the weekday schedule, but it will now air in a evening block on Saturday nights from 6-8pm. Back to weekdays, Cleveland Show is at 1:30pm as mentioned into American Dad's new timeslots of 2-3pm. Friends will now be 3-5pm, instead of 3:30-5:30, as Cougar Town weekdays repeats will be leaving. King of Queens is now in the 5pm hour, leading into three episodes of Seinfeld from 6-7:30pm and as mentioned Family Guy and Cleveland Show will share the 7:30pm half-hour, with the former Mon, Wed, Thurs and the latter on Tues and Fri. Primetime will remain the same with a mix of Family Guy and The Big Bang Theory on Mon-Thurs from 8-11pm. Movies will air on Fridays. Conan remains in late night at 11, into a repeat of The Office at midnight. An encore of Conan airs at 12:30am into another episode of The Office at 1:30am. After a late movie, Married...with Children closes the night out on most days from 4-6am. 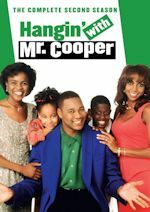 On Saturdays, sitcoms will air from 6-11am with an hour each of Married...with Children and Fresh Prince from 6-8am. The Tyler Perry hour of House of Payne and Meet the Browns airs from 8-9am. The 9am hour has Are We There Yet? and According to Jim into an hour of Rules of Engagement at 10. Movies will air from 11am-3pm, then Friends is back from 3-5pm into King of Queens from 5-6pm, similar to weekdays. Everybody Loves Raymond moves into early evening on Saturdays from 6-8pm leading into The Big Bang Theory primetime block from 8-11pm. More movies follow and the late night schedule has more Married...with Children. 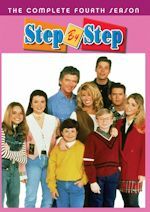 The Sunday line-up remains intact with Married...with Children and Friends from 6-9am then movies the rest of the day. View the full TBS September 2013 schedule. Discuss your thoughts. And stay tuned for part two very soon! Will there be more shows in story? Stay with us. 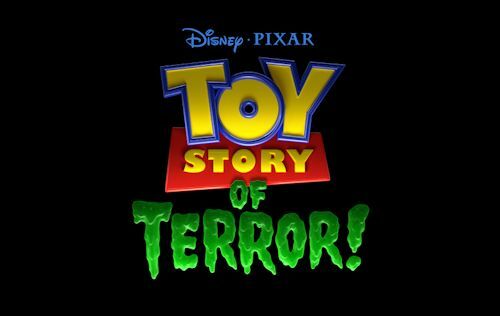 ABC has set an airdate for Disney·Pixar's first special for television, Toy Story OF TERROR!, a spooky new tale featuring all of your favorite characters from the "Toy Story" films, airing Wednesday, October 16 from 8:00-8:30pm ET on the ABC Comedy Wednesday block for one night. ABC first announced plans for the special at the annual Upfront presentation in May, but now we have an actual airdate! What starts out as a fun road trip for the Toy Story gang takes an unexpected turn for the worse when the trip detours to a roadside motel. After one of the toys goes missing, the others find themselves caught up in a mysterious sequence of events that must be solved before they all suffer the same fate in this Toy Story OF TERROR!. The cast of Toy Story OF TERROR! 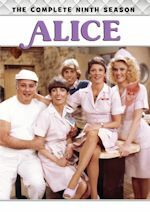 includes Tom Hanks as Woody, Tim Allen as Buzz, Joan Cusack as Jessie, Carl Weathers as Combat Carl/Combat Carl Jr., Timothy Dalton as Mr. Pricklepants, Don Rickles as Mr. Potato Head, Wallace Shawn as Rex and Kristen Schaal as Trixie.